This article was last updated Sep 25, 2018, but some terms and conditions may have changed or are no longer available. For the most accurate and up to date information please consult the terms and conditions found on the issuer website. If you’re a frequent Lord & Taylor shopper, you’ve likely been asked if you want to apply for a Lord & Taylor Credit Card at checkout, and you may be wondering if it’s worth filling out an application and adding another card to your wallet. Rest assured, the Lord & Taylor Credit Card is a solid offering that rewards loyal Lord & Taylor shoppers with rewards certificates, exclusive cardholder events, coupons and more. In this review, we’ll break down who should consider applying for a Lord & Taylor Credit Card, the benefits of having a card, and alternative cards for department store shopping. The Lord & Taylor Credit Card is targeted towards fans of the store — this is a store card, meaning you can only use it at Lord & Taylor locations or online at lordandtaylor.com. As a result, if you don’t shop at the store, skip to the alternative cards mentioned later in this review. But, if you do frequent Lord & Taylor’s for apparel, beauty, home furnishings and more, a Lord & Taylor Credit Card can help you earn a standout $10 in rewards for every $200 spent on qualifying purchases (up to $250 a quarter). And if you spend at least $1,000 a year, you’ll be upgraded to the Lord & Taylor Premier Credit Card which provides a few more perks, detailed more below. Exclusive cardholder events: Throughout the year, you’ll receive coupons and savings passes. Receipt-free returns: There’s no need to remember to bring your receipt when you return an item. Birthday bonus: Each year on your birthday, you’ll receive a special birthday reward. When you spend at least $1,000 on net qualifying purchases (purchases before tax, net of returns and discounts) each calendar year on the Lord & Taylor Credit Card and your account is in good standing, you’ll be upgraded to the Lord & Taylor Premier Credit Card. You’ll need to continue to meet the prior requirements each year to maintain your Premier status. Couponless shopping: You can take advantage of coupons and savings passes without needing to bring the physical coupons or savings passes to the store to receive the discount. You may have experienced being at checkout and realizing you forgot your coupons, but worry no more with this helpful feature — your payment will already include any of the discounts or savings that are being offered that month. Exclusive offers: Offers may include additional coupons, occasional free standard shipping at Lord & Taylor’s discretion, and more. These exclusive offers are not available to Lord & Taylor Credit Card holders. Premier customer service number: You’ll receive a separate customer service number compared to traditional credit cardholders. 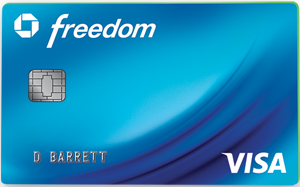 This card doesn’t have a traditional rewards program where you earn points or cash back. Instead, you earn rewards certificates when you hit a certain amount of spending — $10 in rewards for every $200 spent on qualifying purchases up to a maximum quarterly bonus of $250 — so up to $5,000 in spending every quarter. That equals an effective 5% cash back rate, unmatched by general-purpose cards — even ones with department stores as a quarterly 5% bonus category. The rewards you earn are issued quarterly via email or standard mail. They can be used in-store at Lord & Taylor locations or online at lordandtaylor.com. Note, rewards expire on the last day of the sixth calendar month after the date of issuance; refer to your reward for the expiration date. There is also a new cardmember offer where you receive 15% off on first day's purchases up to $100 upon approval. If you’re someone who carries a balance month-to-month, the Lord & Taylor Credit Card isn’t the best card for you since it has a high 27.24% variable APR. You’ll incur high interest charges on overdue balances that can lead you to fall into debt. However, if you pay on time and in full each month, this shouldn’t really be an issue. A flat-rate cashback card can be a good way for you to earn a consistent rewards rate on all your spending, regardless if it’s at a department store or not. 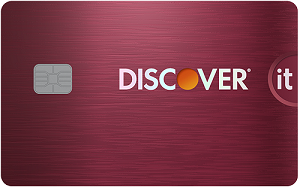 The Citi® Double Cash Card – 18 month BT offer is our top pick for a flat-rate cashback card since cardholders can earn 2% cash back on purchases: 1% when you buy plus 1% as you pay. That’s a great rate when you compare it to other cashback cards that may offer as low as 1% cash back on everyday purchases. In addition, there’s a $0* annual fee and the ability to register eligible items with Citi® Price Rewind. With this feature, Citi will search for a lower price within 60 days from purchase date. If a lower price is found, you may receive the difference between the price you paid and the lower price. If you want to maximize cash back, a cashback card that offers rotating 5% cashback categories can be a good option. Department stores are often included as a bonus category for one quarter of the year — typically around the holiday months. Just note, while these cards can provide you a high 5% cashback rate on eligible purchases, you’ll need to activate the bonus categories each quarter. Plus, the 5% cashback rate is often limited to $1,500 of spending a quarter before the cashback rate drops to 1%. If you frequently shop at Lord & Taylor’s and are looking for ways to save money on your purchases, the Lord & Taylor Credit Card is a good choice with the ability to earn an effective 5% back in rewards— just make sure you pay on time and in full each month so you avoid high interest charges. If you prefer to shop at another department store like Macy’s or Bloomingdale’s, those stores have their own credit cards. And, if you don’t favor one department store, you can choose one of the general-purpose cards mentioned in the alternatives section above.